Fun at the Beach…In the Highlands! This couple loves sunlight and the outdoors, including the feel of sand between their toes. One half of the couple is originally from the east coast and first built his own backyard beach years ago, taking part of his beach with him with subsequent moves. Friends would even bring a bit of sand from vacations to add to the homegrown beach. Now they have created their best beach ever in their new Highlands-area home. 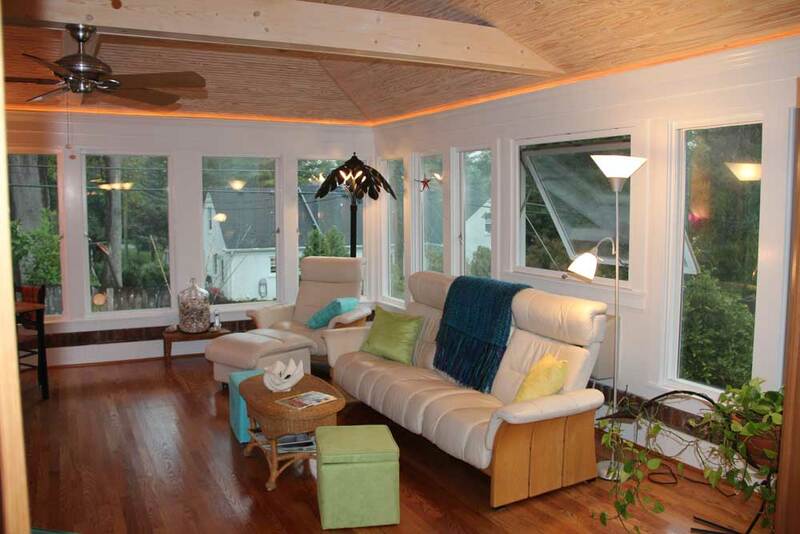 To better enjoy their beach year-round, they wanted to convert an under-utilized carport into a comfortable, sunny four-season room complete with a view of the beach. After calling several sunroom companies, the homeowners talked with Jeff Smith at Insuramax Contractors. Jeff and his team were able to create the homeowner’s vision with a custom four-season room that matched the design style of the home. Insuramax Contractors made several changes to the original carport in order to improve the transition from house to new four-season room including foundation work to build the carport floor up to match the floors in the house. New Marvin Ultimate Push-Out Casement windows with retractable screens flood the room with sunlight and provide an easy alternative to crank-style casement windows to bring cool breezes into the room. 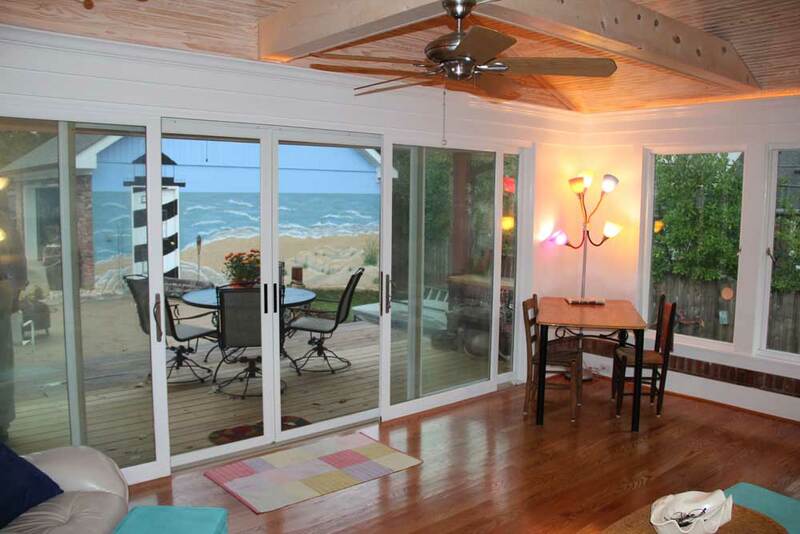 A 16 foot wide bank of Marvin Sliding Patio Doors fills one entire wall and visually brings the beach into the new room. The Marvin doors feature a low-profile sill for a clean look and meet the potential need for aging in place as the homeowners plan for a long stay in this home. 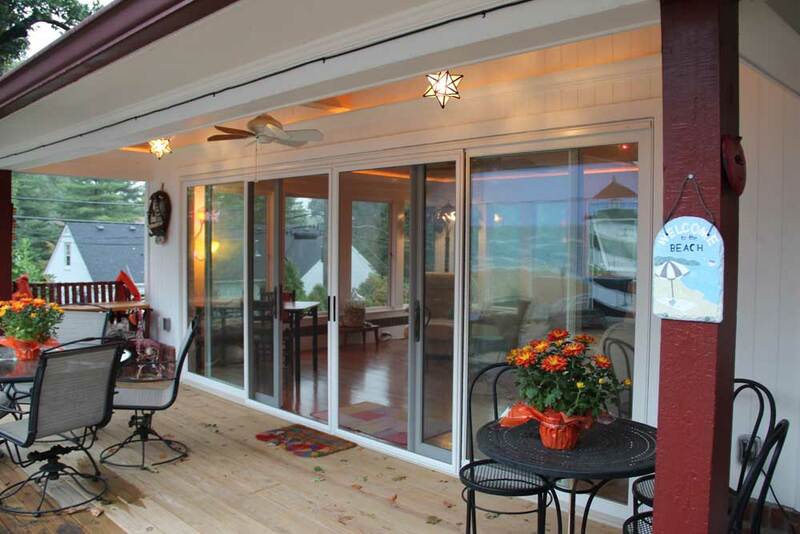 The project includes the quality and energy-efficiency of Marvin windows and doors at a finished price competitive to the sunroom company pricing.